The Great Toronto and surrounding area. 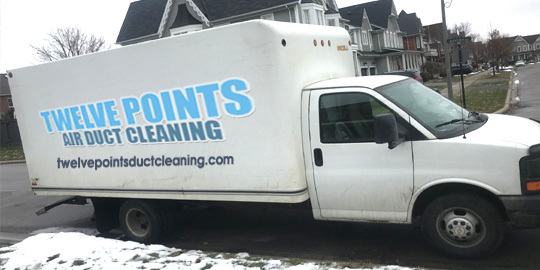 Twelve Points Air Duct Cleaning has been providing air duct cleaning services to the GTA and surrounding area for the past 20 years. Twelve Points has successfully treated commercial, industrial and residential buildings with their unique sterilization system. 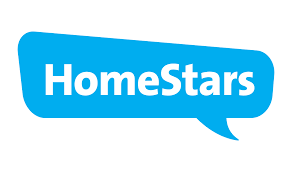 The importance of your home's indoor air quality demands nothing less than the best duct cleaning service. Ducts are used for heating, ventilation, and air conditioning purposes, to deliver and remove air. As part of the supply air, ducts also deliver ventilation air. Air ducts help ensure indoor air quality and thermal comfort in homes, businesses, commercial spaces, franchise companies, houses and industrial plants. Air ducts need regular cleaning or they can become contaminated with dust particles, pollen and other allergens. Safety regulation standard compressed air* is blown through the air vents and pushes the dust and contaminants through the main duct line leaving behind clean, disinfected ducts throughout. 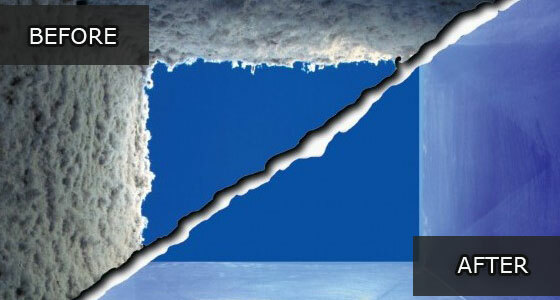 The application of before/after photography visually captures the undeniable benefits of air duct purification. 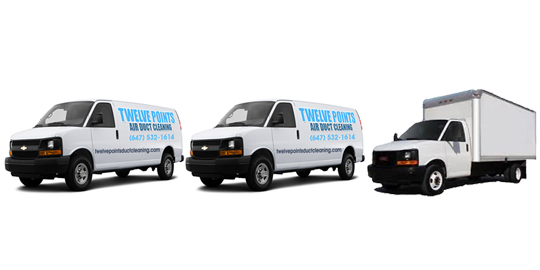 Twelve Points Air Duct Cleaning is the #1 solution for creating the cleanest, healthiest air for home and office. Nobody beats our unique 25 ft high pressure air scrubbing duct snake and truck mounted 400 Horsepower machine. Call us for dependable duct cleaning service with quick turnaround.